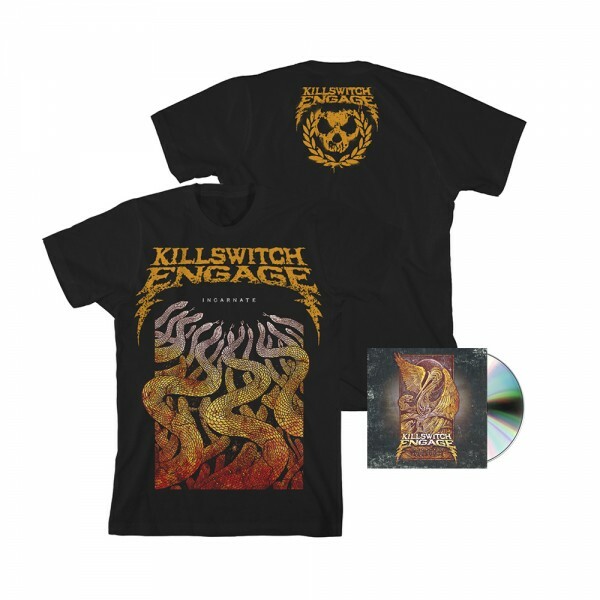 This bundle features the Incarnate Deluxe CD and the Incarnate T-Shirt. The Bundle also comes with an Instant Download* of their singles "Strength of the Mind" and "Hate By Design". The Deluxe CD comes with an alternate cover, and features 3 bonus tracks.